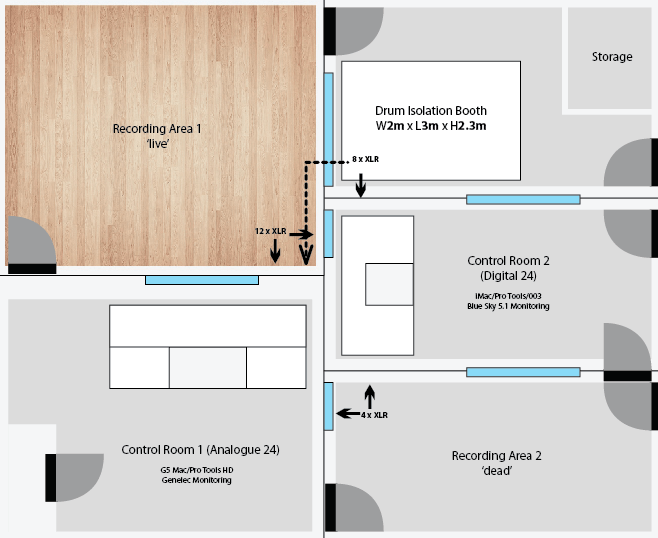 Dual control room, three recording areas including, live room, dead room and drum isolation booth for music and drama production. Pro Tools HD2/Mac Pro, Audient ASP8024 mixing console, iMac/Pro Tools & Logic Studio, PC/Cubase, Digidesign 003 control surface, Genelec 8030A & Tannoy monitoring, DV Toolkit (5.1 surround sound), Blue Sky MediaDesk 5.1 surround monitoring. Wide selection of microphones including AKG, Rode, Neumann, SE Electronics, Sure, Electrovoice and outboard equipment including Sony, Chameleon Labs, Drawmer, TC Electronics, Akai and Lexicon. Waves plug-ins, Pearl drums, Hughes and Kettner bass amplification, Vox guitar amplification. 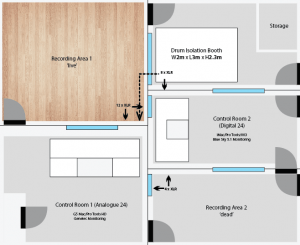 Can the recording Studio be hired by a band wishing to get their songs recorded for the first time? They would need the use of a sound engineer as well. The studio is not for commercial hire. 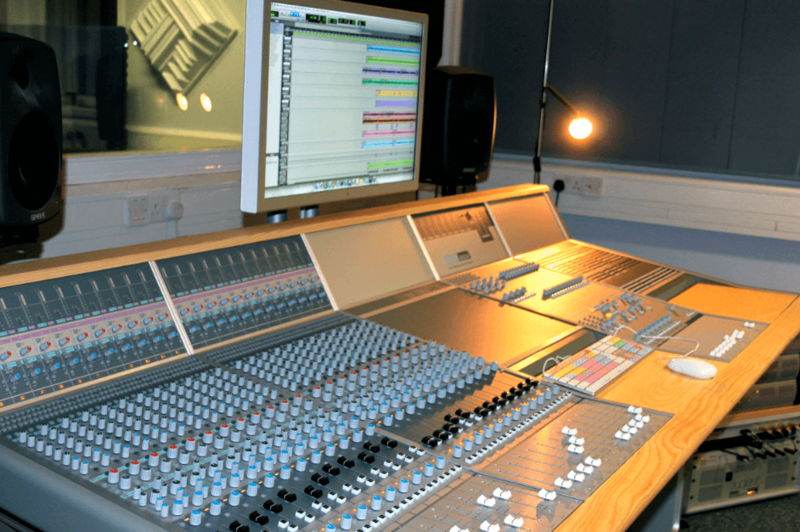 However, the band are very welcome to have free recording sessions if they come as guests of Audio Production students. Hello, I was wondering if the studio is available for students to do voice-overs for projects outside of the official curriculum? I love the look and design of your studio. What do you think to the Audient ASP8024 mixing console?